Happy Thursday from Confessions of an ADD Housewife!! I don't know about you, but I'm excited for the upcoming holidays! I love decorating and this time of year, it's one holiday after another. Around our house, that also means one birthday after another...a few days before each holiday. Busy! These link parties each week are such a great source of ideas and ♥Pin♥spiration. So many fabulous projects this week that I can't wait to try out. 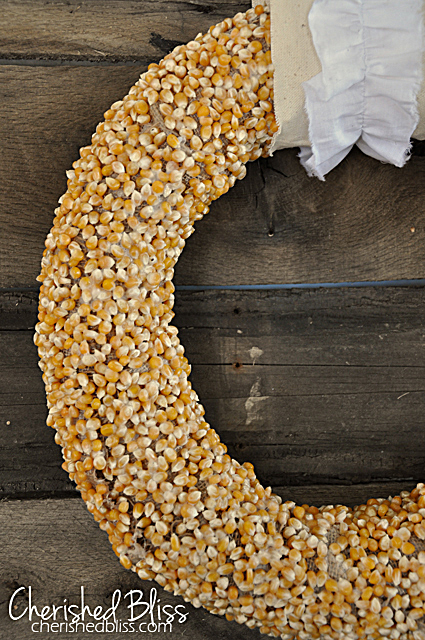 Like this Popcorn Kernel Wreath from Cherished Bliss. So cute and looks like a nice project you can do with the kids. Next up, something good for the tummy! Jalapeno Pepper Jack Cornbread Bites from Feeding My Temple. Definitely good for game day! Last, we need some dessert...like Nifty Thrifty Things' German Plum cake with Streusel. Totally drooling! So now let's see what you've been up to, I'm ready for some new stuff to have fun with. 4) Please turn off word verification/captcha. More people will comment if you do! Thanks so much for the great party. I would love you to link at my link party also. It is called Wednesday's Adorned From Above Link Party. Here is the link.